He's the -Bama, and she's the -Delphia. Bamadelphia is the husband & wife duo of Brian Vickers and Lydia René. From what started as a long-distance friendship to a close-distance marriage, Brian & Lydia have always cultivated a love for one another with their shared interests and their love for music and entertainment. Lydia is a professional singer / songwriter and has worked with producers who's credits include many award-winning artists such as John Legend, Lauryn Hill, and J. Cole. Brian is a music supervisor who has worked on both tv shows and film trailers. They've worked on music together, appeared in commercials & tv shows together, and they've also performed together. 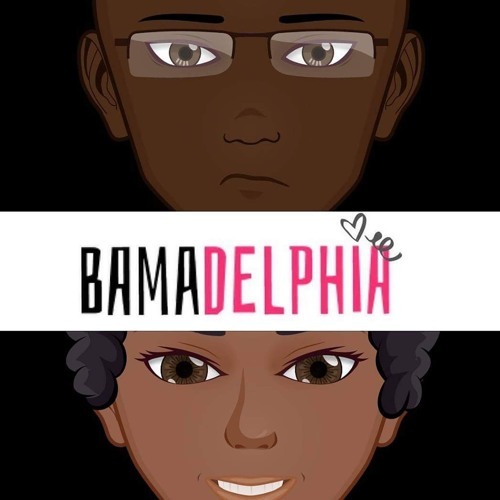 Bamadelphia regularly hosts a show on Facebook Live where they encourage viewers to join the conversation while discussing topics that range from pop culture to politics.